Diagnosis of substance use and mental health disorders. Specialized treatment groups for legal professionals. Return to work assistance, including coaching and guidance, for employee and employer. 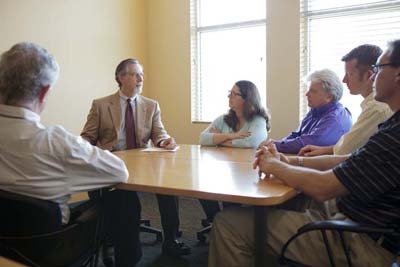 When attorneys, judges and other legal professionals need help overcoming addiction, they turn to the UF Health Florida Recovery Center. Our experts work with employers, licensing boards, the criminal justice system and profession-based advocacy groups from all over the country to help professionals return to successful careers.